Years ago, lots and lots of years ago, I first ran across some videos from a company called Standard Deviants. I thought the name was amusing, and checked them out. Of course, the material was about a decade over the heads of my kids at the time, as whatever-it-was was intended as a curriculum supplement for high school, and my oldest was around seven. I, however, loved it. Offbeat, silly, and memorable. Though, obviously, not enough that I remember the topic now. Shakespeare, maybe? 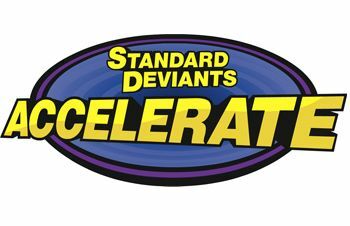 The news that they now have an online version of some of their materials, Standard Deviants Accelerate, was pretty exciting. For the past two months, we've had access to every one of the Standard Deviants Accelerate Homeschool Courses, and this is a great resource. There are a couple of courses available for students as young as 3rd (Arithmetic) or 4th grade (Fundamental Math), but most of the coursework is for junior high and up. Richard (5th) and Trina (3rd) used Arithmetic. My teens (ages 13, 15, and 17) used Nutrition. I peeked at AP Chemistry and used US History. My review is focusing on my high schoolers. The non-AP courses all work the same way. There is some sort of (usually group) activity to get you started. For the US History, that involves writing a farewell speech from one of the first presidents. 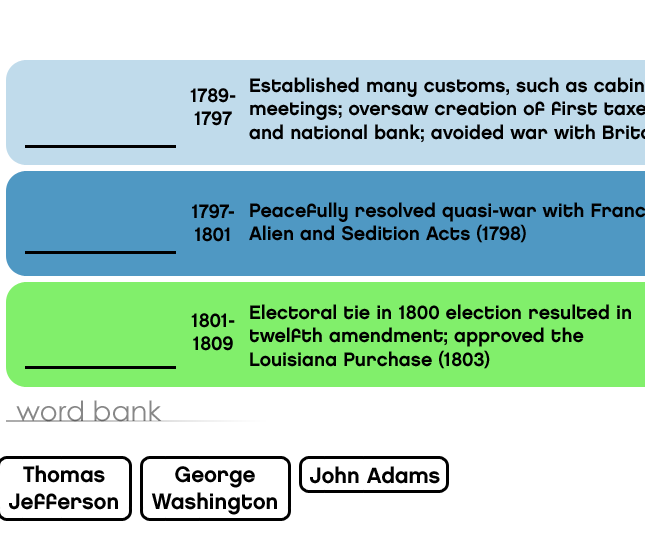 Personally, this is not the type of assignment that will fire up MY kids, so when we go through the US History course, we'll probably just have a group discussion. There is also a "big question" for the students to be thinking about as they work through the course. Then you get into the meat and potatoes of the course. There is a video, which lasts roughly 7-11 minutes. 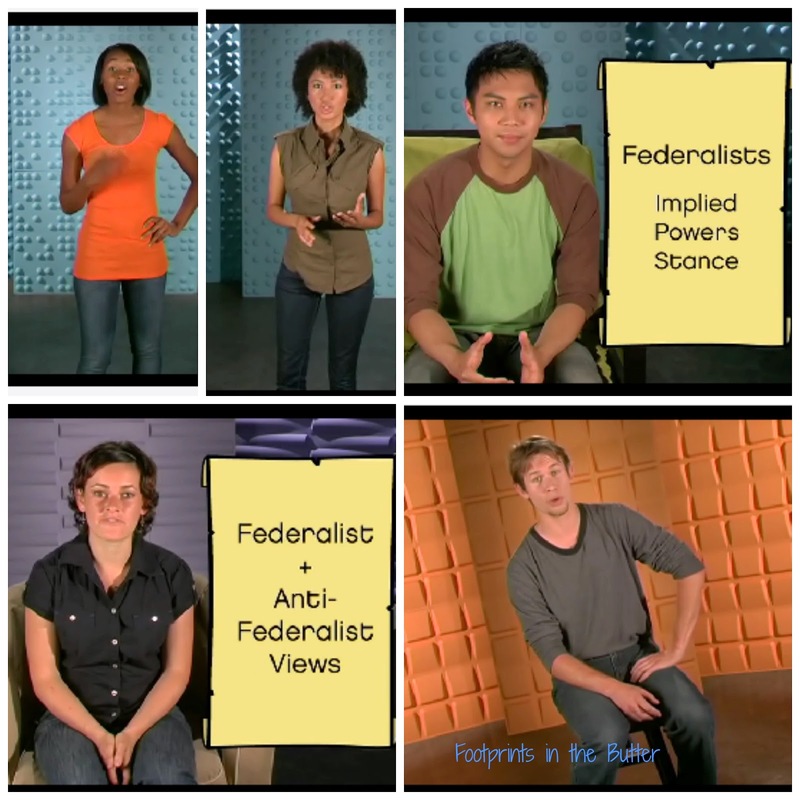 The videos feature a dozen or so students, who each give a little piece of the topic, with some really bad jokes, or crazy animations thrown in too. Some courses get a little sillier than others. The whole thing is split into short little segments, so it has the feeling of moving along. A transcript is available right on the same screen, so you can also see what is being said. 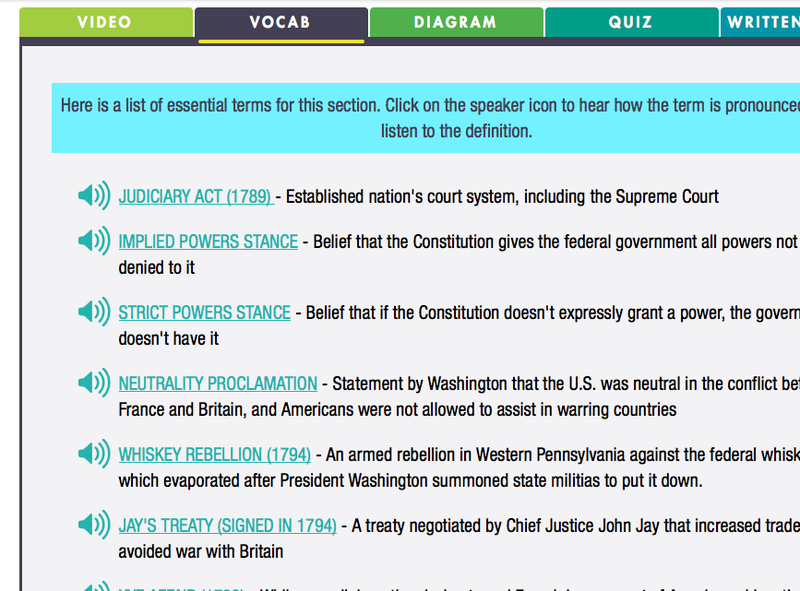 The Vocab section goes over important words (in some courses) or concepts, like above. These treaties, acts, etc. were all covered in the video. 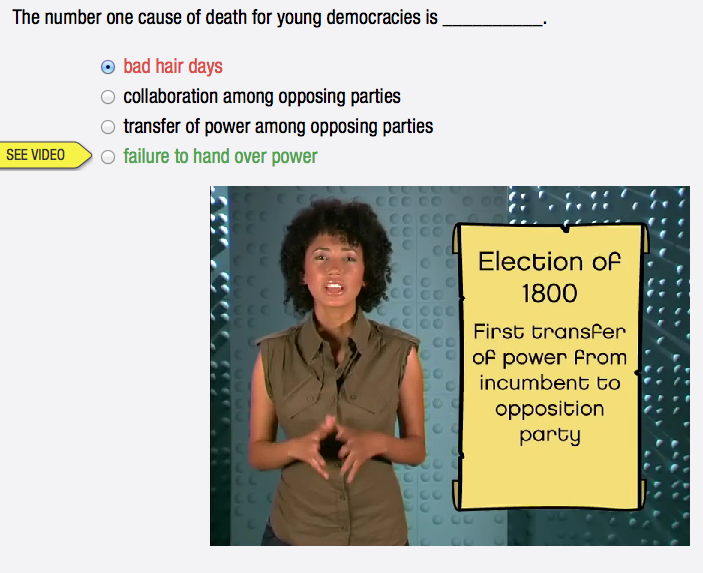 The next tab, Diagram, gives the students a chance to do a little fill-in-the-blank summary of what was covered in the lesson. It shows you what the correct answer is, and has a link you can click to see the video. That link takes you straight to the pertinent section in the video -- you don't have to watch all 11 minutes. The final part of each lesson relates back to the big question, and how what you've just learned relates to that. The course is arranged so that there are a few lessons that make up a "chapter" and each chapter has a review/test section as well. This includes some wrap-up types of group projects, some of which are quite adaptable for individual students. It also has a post-test which pulls questions that student missed on earlier quizzes (or random questions if there weren't enough missed). Connor worked with the Chemistry course (sometimes on the 1st generation iPad), and he commented that sometimes it is a bit on the zany side. I think it does an excellent job as a supplement because it puts things together in memorable ways, with lots of acronyms and ways to remember the material. 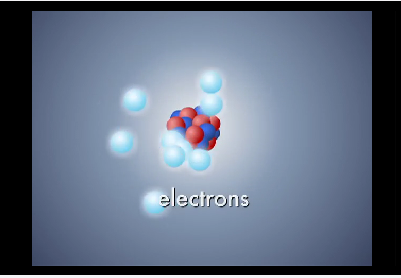 They assume you have covered the material already, so it doesn't go as in-depth into the more science-y parts of it, but they talk about it so that you are grasping the concept, and you can go back to your actual chemistry course to now better understand the science details. I know it has been noted that this is a supplement, but I want to really emphasize that really it is not a stand-alone course. Connor's statement about Chemistry (9th grade and up) vs. Nutrition (7th grade and up) was that the Chemistry seemed "less zany." Connor also watched a bit of the Arithmetic course while the little ones were using it, and he said that there is a bigger difference there. William (15) has been working on the Nutrition course, and he finds "that one lady to be really annoying. Not the hippie one, because it is funny to watch everyone else look at her like she's completely crazy. That other one, doing voices and stuff." When I asked him if this was something he'd like to be able to continue, he asked if he can do it on his Kindle (the first Kindle Fire HD) and he said he'd really like to be able to do the science courses ("but NOT Algebra!") on his own, as they are funny and memorable. Obviously, I took a break from writing this review to get every one of the courses added for him. We have really loved Standard Deviants Accelerate, and we will continue to use the courses. They seem to do a great job hitting the main points and doing so in a memorable way. We all roll our eyes at some of the silly (or zany) stuff, but I don't think any of us would want it to go away, as it doesn't take up a lot of time, and some of it helps the points stick in your brain too. Of course, right now, you can sign up for a free six-month trial, which is definitely worth doing! Go check other reviews, as there others who are talking more about the younger levels and other courses.